Aloha! We want to provide a quick update on Charlie’s Pond. 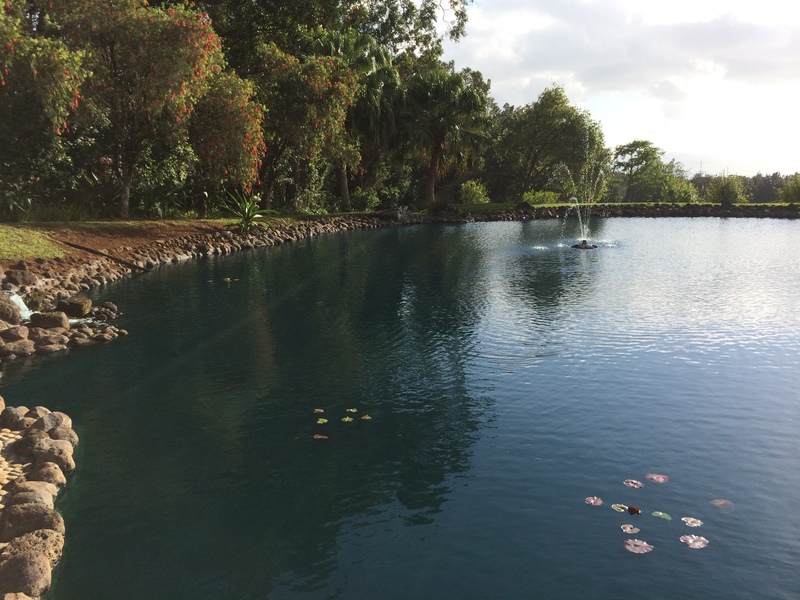 In a previous blog a while back, we provided the details of all of the work behind the complete restoration of the pond. Subsequent stabilization and careful management, we then introduced tilapia to begin to establish it as an official aquaculture site. This was also a long and involved process. All that said, we have some great news to share: it was all well worth it! We are VERY happy to share that the tilapia continue to thrive and we currently estimate between 500 and 600 healthy fish. While the management of the approximate 50,000 gallon pond is no easy task, Charlie’s Pond has never looked better and we’re encouraged by the healthy fish production. Here is a recent pic of Charlie’s Pond. The small fountain you see was recently added to further enhance aeration provided by the running stream. Please contact us if you’d like to learn more about our efforts in this regard. Mahalo nui loa for your support!